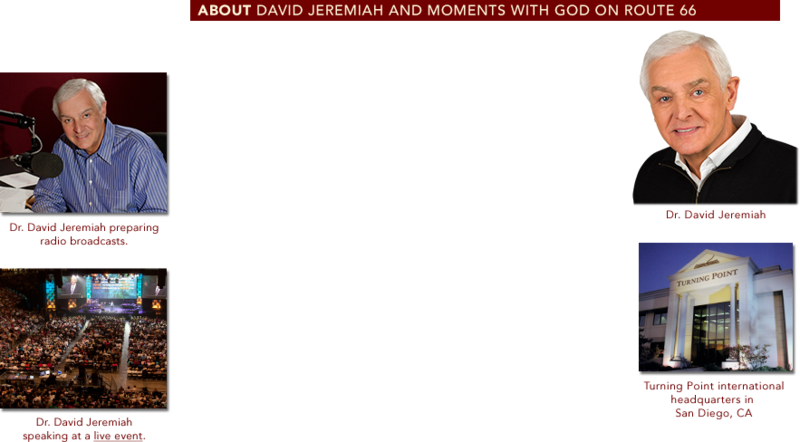 Dr. David Jeremiah serves as senior pastor at Shadow Mountain Community Church and is the host and founder of Turning Point. In 1982 he started Turning Point as a local San Diego radio and television program—he had no idea then that God would grow his efforts into a worldwide ministry. Today, Turning Point reaches millions of people with the Gospel in five different languages (and continues to grow!). Dr. Jeremiah’s dedication to teaching the Word of God with clarity and precision makes him a highly sought after conference speaker and New York Times bestselling author. He has written 43 books including New York Times best sellers, The Coming Economic Armageddon, I Never Thought I’d See the Day!, and Agents of Babylon, and continues to impact believers and unbelievers alike with the truth of God’s Word. In 2005, his passion for radio ministry led him to create short, inspiring radio spots called “Route 66.” These one-minute inspirational moments are intended to catch the attention of both secular and Christian audiences by providing encouragement and insight into God’s plan for our lives. God has given us His own Route 66—the 66 books of the Bible—and these brief inspirational road signs will help you find directions on His highway every day. the radio ministry of Dr. Jeremiah click here. 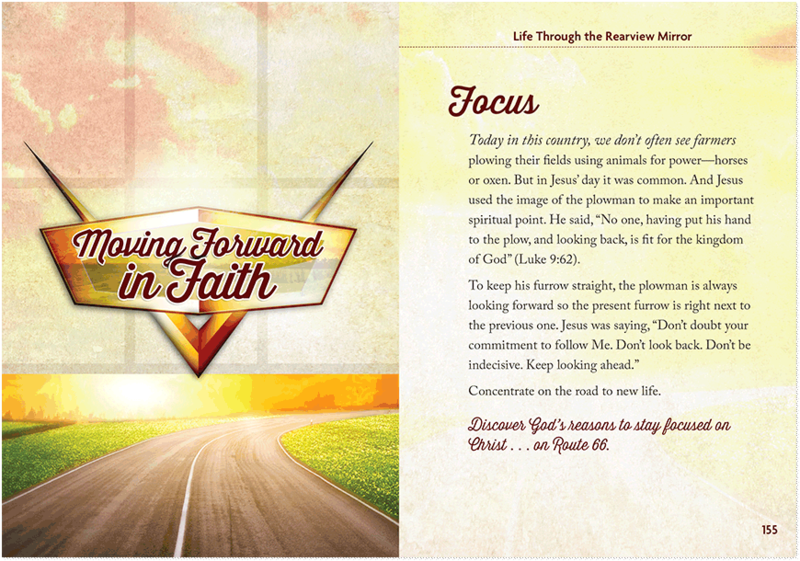 Find guidance for every day with Moments With God on Route 66! 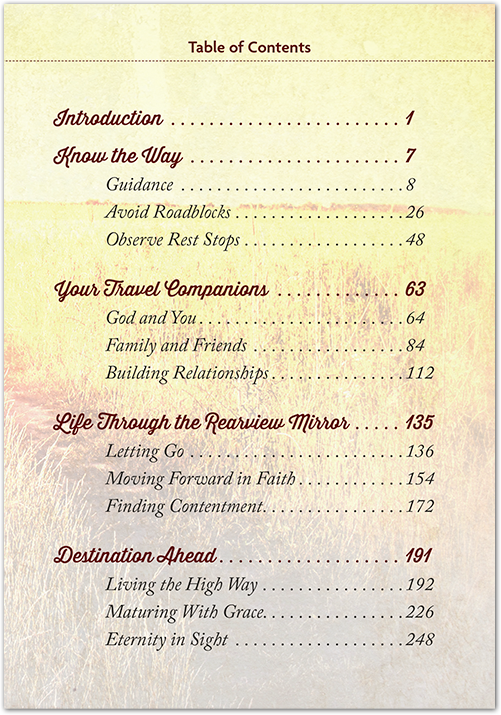 With more than 230 inspiring readings, this book is designed to encourage … refresh … and help you get directions on God's highway of life. 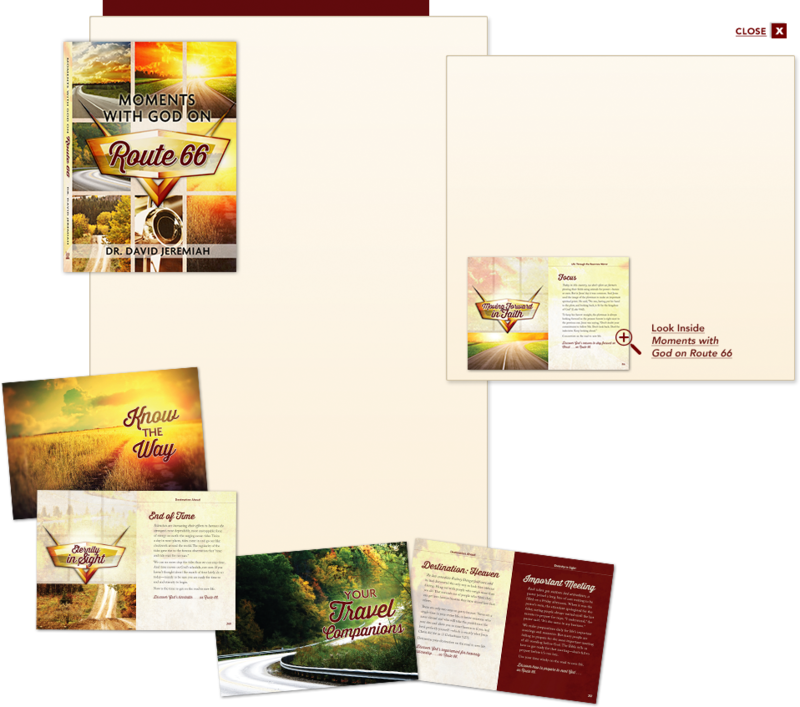 Like the historic U.S. Route 66, God has given us His own Route 66 that stretches from your front door to the doorway of heaven—the 66 books of the Bible! This is no asphalt freeway. God's Route 66 never needs repair, or updating, or replacement. The insight in this new, easy-to-read volume will give your spiritual life a refreshing surge of energy each and every day. These inspirational moments are adapted from one-minute radio devotionals—a selection of the very best Route 66 spots aired in 2012. Seekers and saints alike will find direction on God's highway of life.